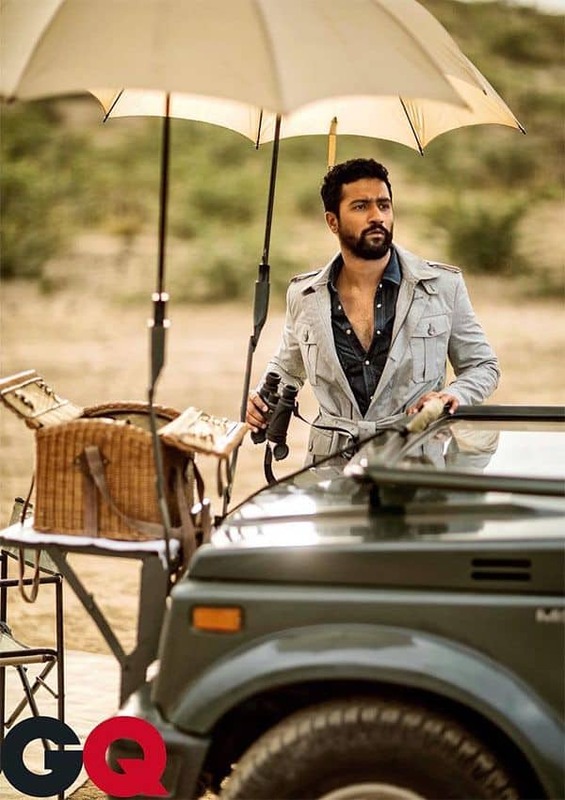 On days when Vicky Kaushal isn’t impressing us with his acting abilities, the star is busy doing such amazing photoshoots that will make you envy his girl! No, I didn’t announce him as taken already and in fact, I pray that he’s still available as single. 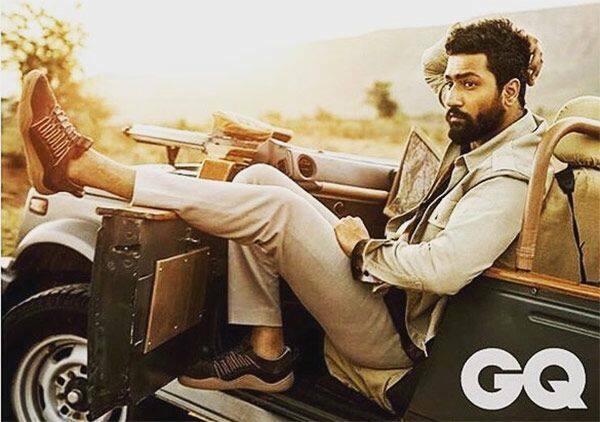 The actor who delivered two Rs 100 crore movies – Raazi and Sanju this year, is on a roll to be the next most sought-after actor in the industry. His raw looks and that coy smile are the major reasons why girls are crazy behind this Masaan actor and I don’t blame them. His tall and muscular frame coupled with those unconventional looks make him just the right candidate to rule our hearts! And for the ones who still fail to understand the craze behind this ‘new star’ should go to his Instagram feed and check for his recent GQ photo shoot right away. His rugged look is well highlighted in these numerous pictures and you will visualize yourselves as those ladies in the deodorant ad that try too hard to control their emotions. I was one of the few lucky ones who had an opportunity to meet him personally (yeah, I am too lucky) and trust me, that was the second best day of my life – first being the meeting with Shah Rukh Khan of course. He’s extremely polite and so down to earth. He is too tall, yes girls always like tall men, right? As GQ rightly mentioned, ‘It’s the right time to arrive’ – we don’t think if Vicky could have asked for a better year. His latest pictures aren’t the usual ones where an actor flaunts his abs or the camera makes him look too good for words, but rather unusual ones and beauty lies right there. Vicky is currently shooting for Uri in Serbia and we can’t wait for him to get back. We bet the actor will have some great scripts waiting for him once he lands in his country and he picks just the best out of them. Until then, let’s ogle at these pictures and wonder if good looks can be fatal. who flaunted the saree look best?? Shilpa Shinde or Hina Khan..